The Trojans have had a strong start to the 2017-18 season, opening the year 3-0 with dual meet wins over San Diego, Oregon State and CSU Bakersfield as well as winning the SMU Classic in Dallas. USC also contributed in a major way to the Pac-12’s win over Team USA in the exhibition USA College Challenge last week on the Trojan campus. USC swimmers have wasted no time posting numerous strong NCAA qualifying times and have even registered a couple automatics, including sophomore Louise Hansson’s 1:43.19 in the 200y free and freshman Maggie Aroesty’s 2:06.88 in the 200y breast. 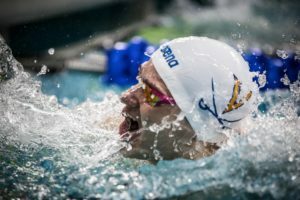 Hansson also has B times in the 50y free (22.74), 100y free (47.57, 0.04 off A), 200y IM (1:55.80), 100y fly (51.28, 0.09 off A) and 100y back (52.79). 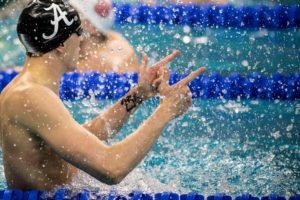 Aroesty also has B times in the 400y IM (4:10.18) and the 100y breast (59.98). Junior Riley Scott has B times in the 100y (59.56) and 200y breast (2:07.99) and the 200y (1:57.75) and 400y IM (4:14.96), junior Maddie Wright has B times in the 100y (53.25) and 200y fly (1:54.97) and the 500y free (4:47.21) and senior Hannah Weiss has B times in the 100y (53.65) and 200y back (1:58.54). Sophomore Tatum Wade has B times in the 200y (1:46.99) and 500y free (4:45.95) and the 200y fly (1:59.58), senior Lexie Malazdrewicz has B cuts in the 100y (49.99) and 200y free (1:46.92) and freshman Marta Ciesla has B times in the 50y (22.63) and 100y free (49.56). * USC won eight A heats and six B heats to capture the six-team 2017 SMU Classic, finishing with 331 points, edging second-place Louisville by a half point. Sophomore Louise Hansson earned Swimmer of the Meet honors with wins in the A heats of the 100y fly (51.56), 200y back (1:52.26) and 200y IM (1:55.80). Junior Riley Scott swept the A 100y (59.56) and 200y breast (2:08.20) and won the B heats of both IM races. Freshman Maggie Aroesty won the 400y IM (4:10.18) and took the B heats of both breast events. Freshman Marta Ciesla won the 50y free (22.63) and junior Maddie Wright won the 200y fly (1:54.97). 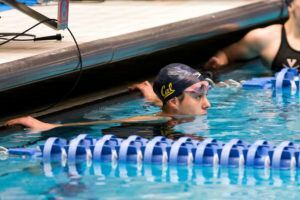 * The Trojans had four women and four men race for the Pac-12 team that defeated Team USA, 326.5-286.5 in the two-day, USC-hosted USA College Challenge on Oct. 21-22 that pitted current Pac-12 swimmers against current U.S. national teamers. 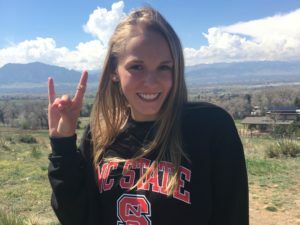 Sophomore Louise Hansson won two races, taking the 100y fly in 51.28, 0.03 off Kendyl Stewart’s pool record, and later won the 100y free in 47.57 to lower Anika Apostalon’s pool mark by 0.21. Freshman Maggie Aroesty crushed the 200y breast to win with a PR of 2:06.88, breaking former Trojan and Olympic champion Rebecca Soni’s pool record of 2:07.86. Junior Riley Scott was just off Soni’s pool record for third (2:07.99). Hansson was later second in the 200y free in 1:43.19, also under the old pool record, while junior Maddie Wright was third in the 200y fly (1:55.09). 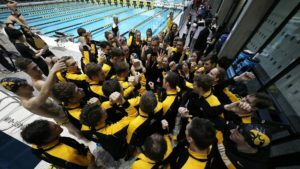 Hansson also led off the final and first-place 400y free relay with a 47.58 while Aroesty (59.98) and Scott (1:00.16), finished fourth and fifth, respectively in the 100y breast. USC’s captains for the 2017-18 season are senior Lexie Malazdrewicz and juniors Allie Wooden and Lily Dubroff. The women’s team was ninth last year at the NCAA Championships and returns five of its seven All-Americans from last season, led by sophomore Louise Hansson, who was a six-time All-American as a 2017 freshman. Also back are a quartet of junior All-Americans in Hanni Leach, Riley Scott, Kirsten Vose and Maddie Wright. 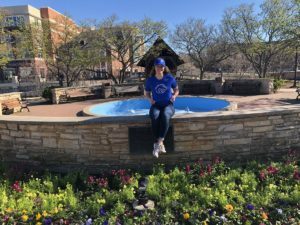 Others back with NCAA experience are senior Hannah Weiss, juniors Allie Wooden, Elizabeth Stinson and diver Maddie Witt as well as sophomores Becca Mann, who was an NCAA ‘B’ finalist last year, Tatum Wade and Catherine Sanchez. 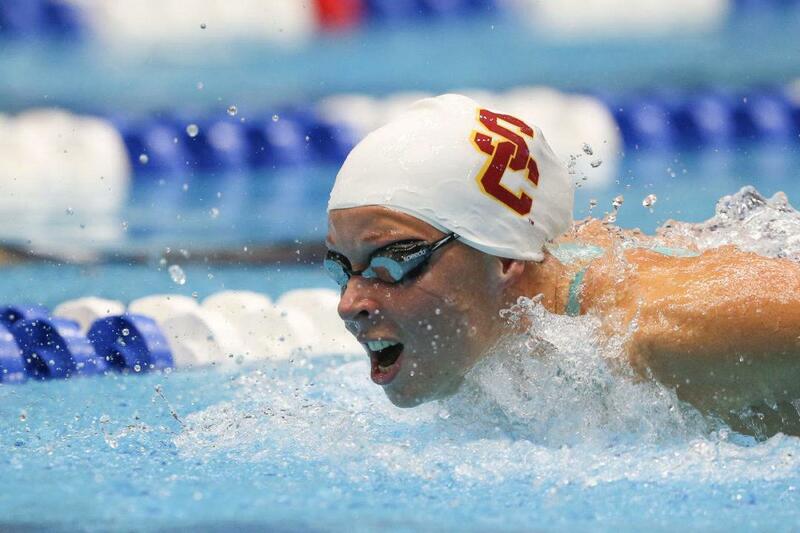 Scott was USC’s other Pac-12 winner, claiming her first conference crown in the 200y breast. She was also second in the 100y breast and won the B final of the 400y IM. Vose was a three-time finalist for the second year in row while Wade was USC’s other three-time finalist. Wright challenged for a title in the 200y fly and finished second to go with an eighth in the 100y fly. 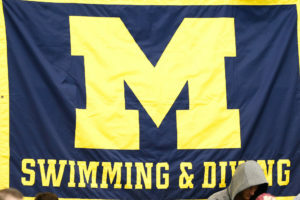 Leach reached her first A final in the 100y back and Sanchez debuted as a 200y fly A finalist while divers Witt (3-meter, platform) and now sophomores Naomi Gowlett (1-meter, 3-meter) and Carly Souza (platform) also reached finals. 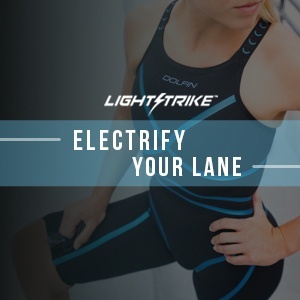 The women bring in a quartet of swimmers ready to make an immediate impact this year including current U.S. national teamer Isabella Rongione as well as Maggie Aroesty, Marta Ciesla and Caitlin Tycz.